This week’s entry is Maggie Sawyer, a recurring character in the Superman comics since the late 80s. More recently, she’s also become a character appearing in Batman comics. Sawyer first appeared in “Superman” (volume 2) #4 in 1987, and was created by John Byrne. In the Superman comics, Sawyer is the head of Metropolis’ Special Crimes Unit. The SCU is a special division of the Metropolis police force that handles super-powered threats to the city when Superman’s unavailable. Thus, they’ve got lots of high-tech equipment/weapons at their disposal. Also often seen along with Sawyer was Dan Turpin, her second-in-command at the SCU. Sawyer was created early on in the Byrne-written, post-Crisis reboot of Superman’s continuity. Maggie and Dan replaced Inspector Henderson, Superman’s police contact in some Silver/Bronze Age stories. In “Superman” #15 (March 1988), Maggie was revealed to be a lesbian. Stories showed Maggie dating a woman named Toby Raines, a reporter for a rival Metropolis newspaper to the “Daily Planet.” The couple also befriended Lois Lane and Clark Kent, and appeared at the Kents’ wedding in the mid-90s “Superman: The Wedding Special.” Maggie also starred in a 1990s miniseries about the SCU. In the 2000s, Maggie was transferred to Gotham City, and thus began appearing in the various Batman-related titles. Her partner Toby apparently didn’t make the city-switch. It was revealed in “Detective Comics” #856 that the two had broken up due to the distance involved in their relationship. Of course, the distance between, and locations of, Metropolis and Gotham City varies depending on the writer. In any event, Maggie made it intact through the New 52 reboot in 2011. She was soon shown dating Kate Kane, the current Batwoman. While the two were set to be wed by “Batwoman”‘s writer, DC’s head honchos nixed their plans for adolescent reasons. This prompted the book’s creative staff to quit. 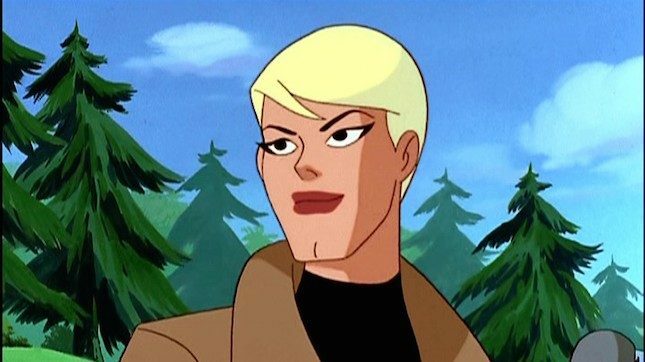 Maggie appeared in the 90s “Superman: The Animated Series.” Of course, being the 90s, her sexuality was (unfortunately) downplayed. However, a woman appearing by her side in several scenes during a two-part storyline (“Apokolips… Now!”) was meant to be an unnamed Toby Raines. Outside of cartoons, Maggie’s also appeared in the 2000s live-action TV series “Smallville,” where she was played by actress Jill Teed. Maggie’s also become a supporting character during the second season of the CW “Supergirl” series. Actress Floriana Lima plays Maggie. What's the future of newspaper comics?